3. Try video chat on Instagram! Many people are unhappy with the content they see when they visit the explore page because as good as Instagram algorithm is, a machine can’t always know what we would like to see and what content we enjoy the most. A 2018 Instagram update will give you more power to view what you like in the explore section, as users will be able to choose “Channels” they like and will see posts mostly from these channels. They don’t have to be from a specific page - something vague like make up, flowers, or cakes will do. This is great news if you’re using Instagram for business - your beautiful pictures will get more exposure. Many people already post screenshots of them listing to music on other apps to Instagram stories, but this doesn’t give followers the full experience. All that is about to change in 2018 - a new Instagram feature will allow you to press the share button right in the Spotify app. 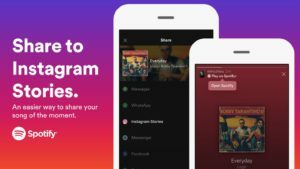 This will add a link to the song to your Instagram story - when your followers press it, they will be transferred to the Spotify app where they will be able to listen to the song to get the full experience. The new update on Instagram also allows you to share your GoPro videos from the app directly to Instagram, and we’re sure hoping that when the feature rolls out, the quality loss on the videos won’t be too terrible. Try video chat on Instagram! 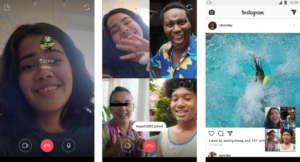 Video chat has long been a favorite way to stay in touch with relatives or friends who live far away, but in 2018 you will finally be able to video chat on Instagram! When Instagram releases the new feature, you will be able to press the camera button next to the person’s name in your direct messages and start a video call just like that. To make it even more fun, Instagram will allow you to chat will several people at once. And if you get bored during the conversation you will be able to minimize the chat window to browse Instagram feed without ending the call. 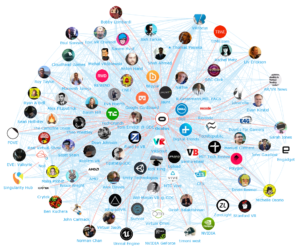 As you know, the last year in the tech industry has been all about virtual and artificial realities and Instagram is not falling behind. 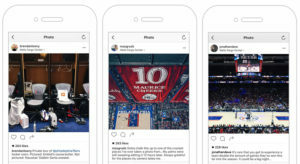 Once this new Instagram feature rolls out, brands will be able to design their own filters, utilizing the AR studio on Facebook. This should be especially huge for make up brands - we can only imagine how new product sales will soar if users are able to try the new shade of lipstick on in the comfort of their home instead of having to drive to the store. Users who try on filters will be able to post a picture or video of themselves with the filter to the stories, just as usual, but now their friends who see the story will also get a chance to try on the filter right away - a perfect recipe for viral product releases.